Baleen isn't a modified tooth structure, it's a keratin. 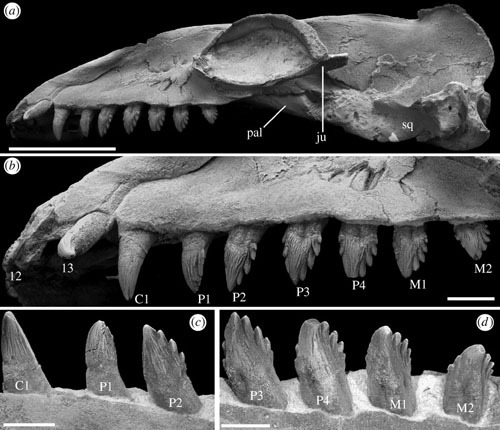 In fact the predecessors of baleen whales likely had non-functional teeth. The somewhat similar straining function of crabeater seal teeth is parallel evolution. "Baleen is believed to have evolved around thirty million years ago, possibly from a hard, gummy upper jaw, like the one a Dall's porpoise has. In fact, it resembles baleen closely at the microscopic level. Many early baleen whales also had teeth, but these were probably used only peripherally, or perhaps not at all (again like Dall's porpoise, which catches squid and fish by gripping them against its hard upper jaw)." Thank you, BJN. I've edited that comment.